On the Yahoo! Group for the HQ Sweet 16 (and now Babylock Tiara), Mary asked about tension and threads. Threads are unlikely to be your problem (except at the very thick and thin ends of the thread spectrum). The main problem with tension is getting to know your machine. For the first few weeks, I got very frustrated with incorrect tension, and then it seemed to click. 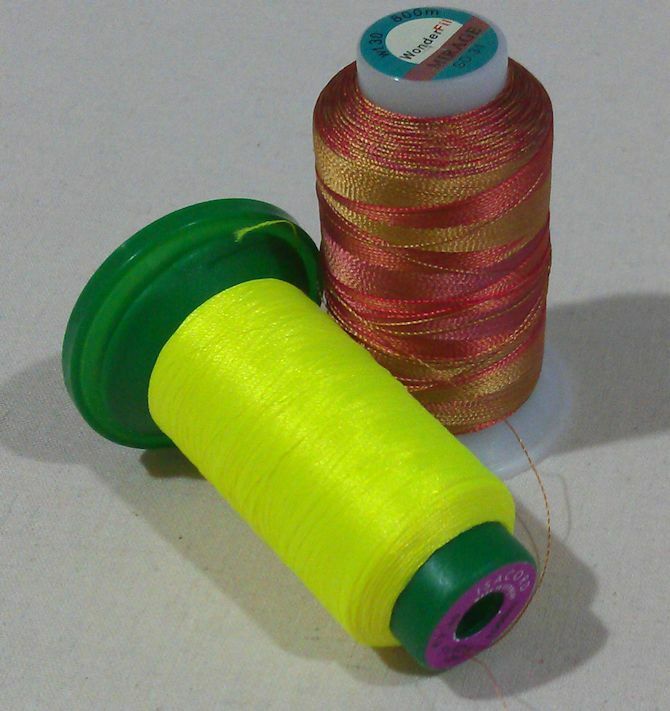 incorrect thread path – did you ‘floss’ between the top tension disks or did you miss them and the thread is in the spring? Have you put the thread through ALL parts of the thread path? Keep a practice sandwich next to the machine to test the tension every time you change threads or bobbins – even if the bobbin was wound at the same time with the same thread and settings as the previous bobbin. The only threads I’ve haven’t been able to use successfully (yet!) are 12 wt Egyptian cotton threads (my needle sizes only go up to 18, so I need to buy a bigger needle size for that thread) and 100 wt threads (my size 14 needle is probably too big for that and so I may need to buy smaller needles for that thread weight). I’ve used two 40 wt rayon threads going through the needle at the same time, and I believe you can use three threads (using the horizontal spool holder too) if your needle size is big enough. Tension is a matter of time and patience. Threads are only one part of the story. Great post! I haven’t had any issues with such settings but I’ve seen (in several different places) discussion about needles and, I know, that on my DSM a topstitch needle (longer/larger eye and deeper groove) prevents so many thread issues (shedding, breaking, skipped stitches, etc). Unless I am using a very fine thread, I stick with the size 16 needle. It makes a larger hole but that goes away when the quilt is washed. I haven’t had any tension problems at all since I referenced Jamie’s YouTube demo. great post Rhonda, thank you , i have been slowly working through the issues and have ” discovered” the solutions as you have listed them… The fluff in the top tension was a surprise, i had never thought to clean in there. It has been a lot of trial and error , but the “errors” are getting fewer and i am beginning to feel confidant with my S16 Even used a monofilament (invisifil) thread with a 14 needle for the first time ever, to ditch stitch, brilliant results. I found Jamie’s video a few weeks ago and it made a huge difference to my understanding of bobbin tension. Is it normal to have clicking sound from the top tension knob while sewing? Have played with tension, as I’ve had top thread breakage, but still have clicking. Not as far as I know. However, my Sweet Sixteen is nearly 9 years old, so I don’t know about the newer models, which have features like a tension number. 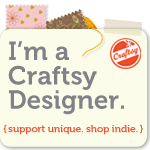 I suggest you chat with your dealer, or if you’re in the US, call Handi Quilter’s customer service.